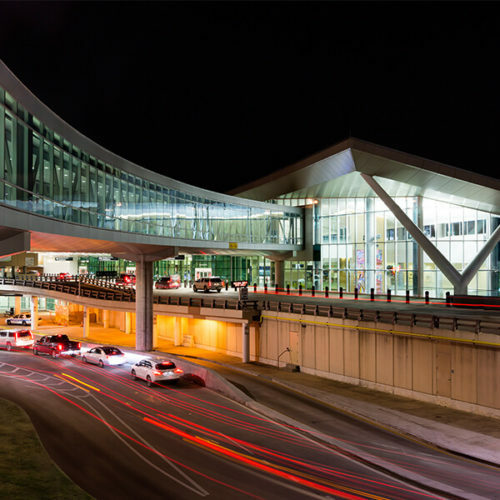 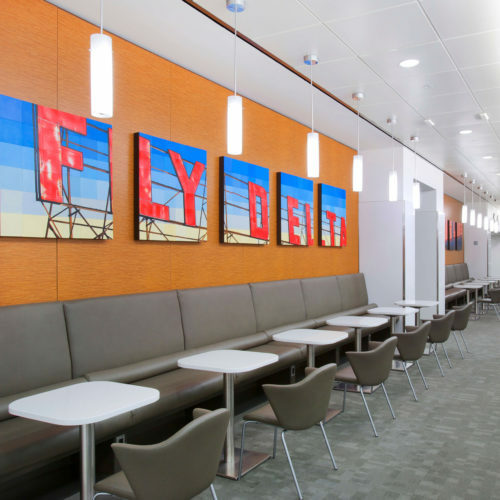 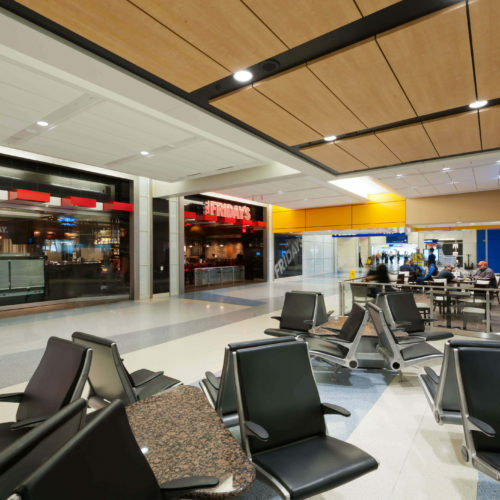 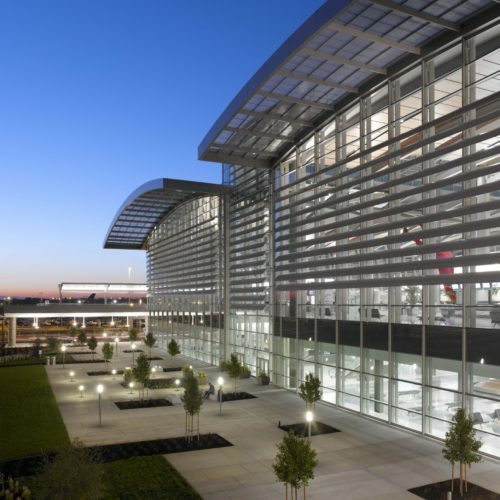 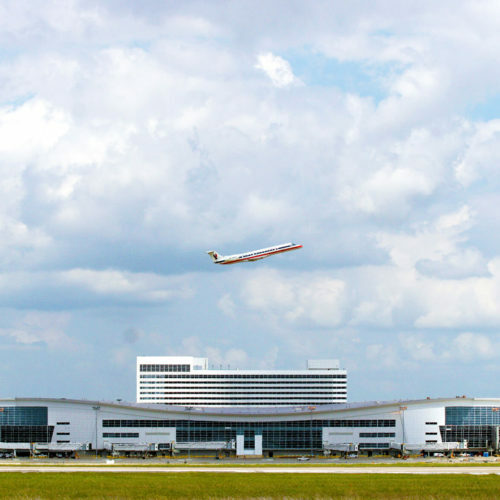 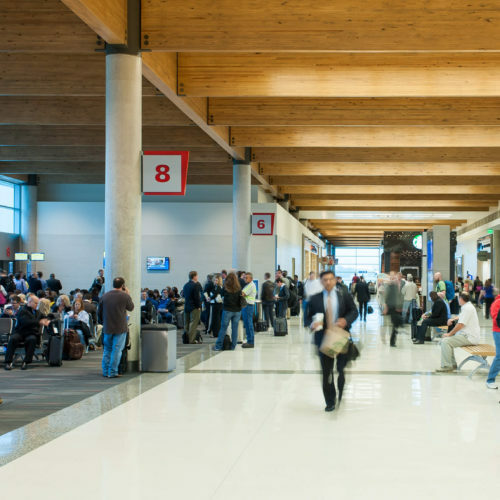 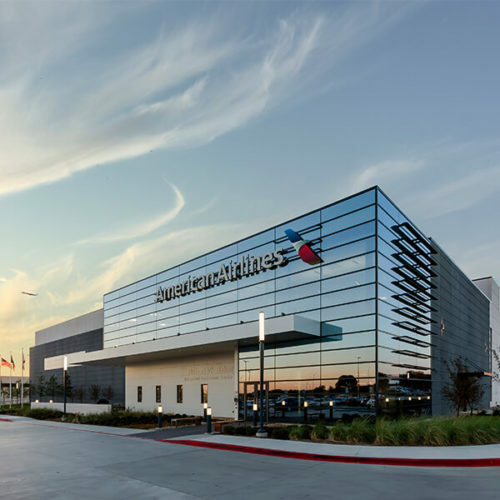 Anticipating international air travel to double over the next ten years, DFW International Airport developed a new 2 million square foot terminal building to consolidate its international operations into a single, premiere facility. 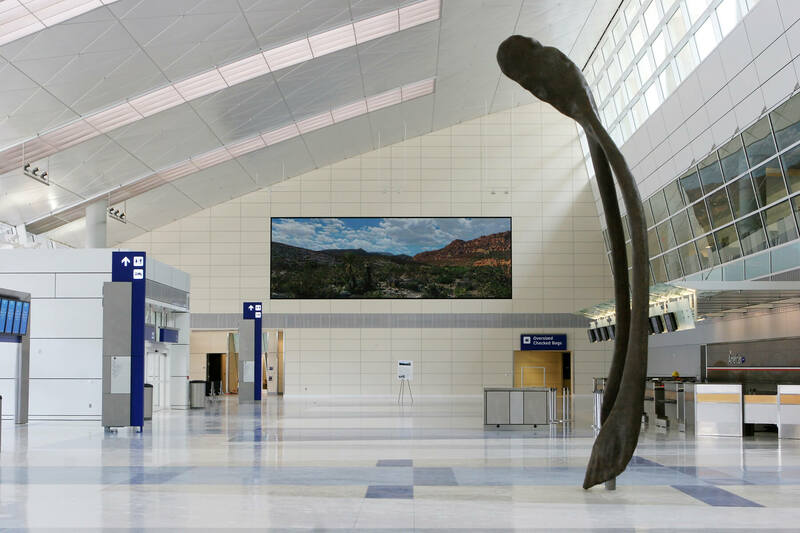 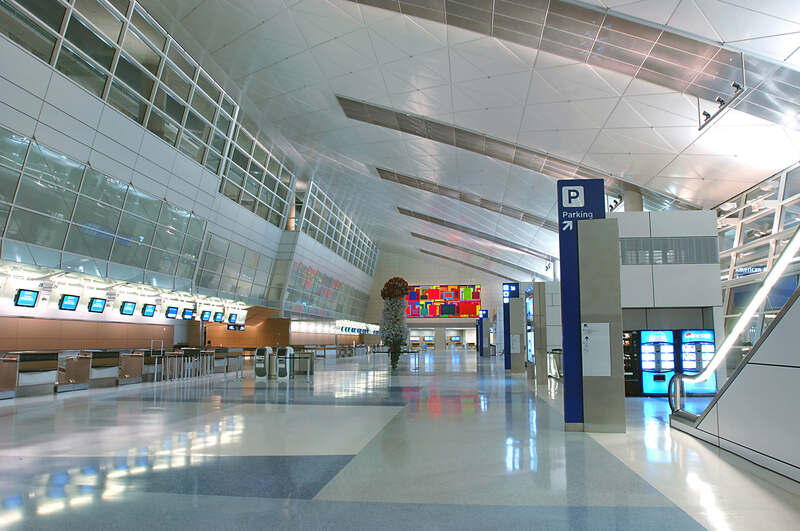 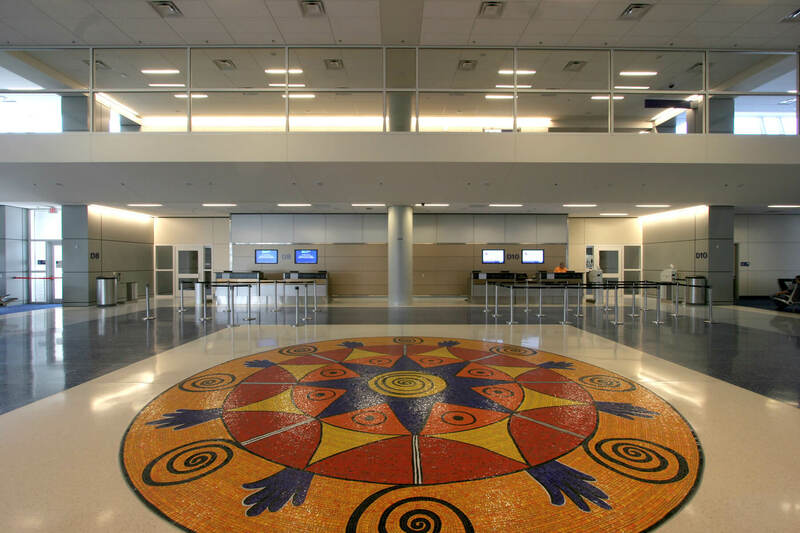 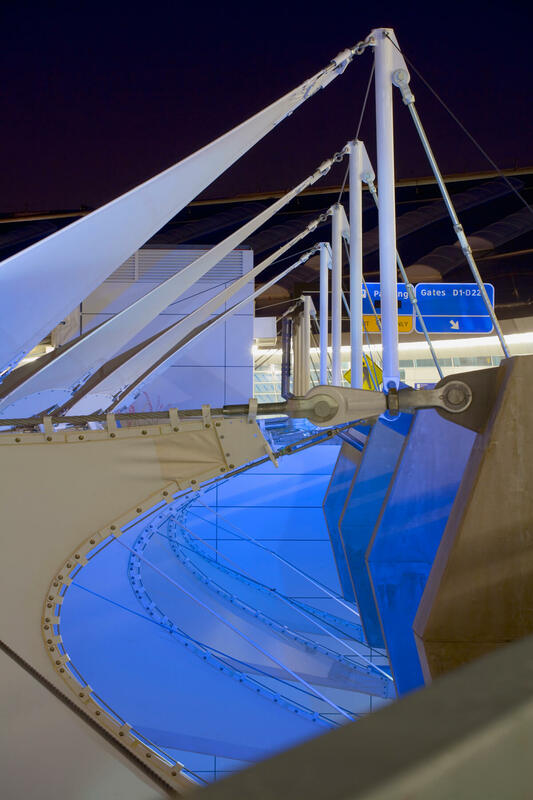 The architectural expression of DFW International Terminal D reflects the cultural boldness of the metroplex and supports major passenger flows within dramatic processing halls. 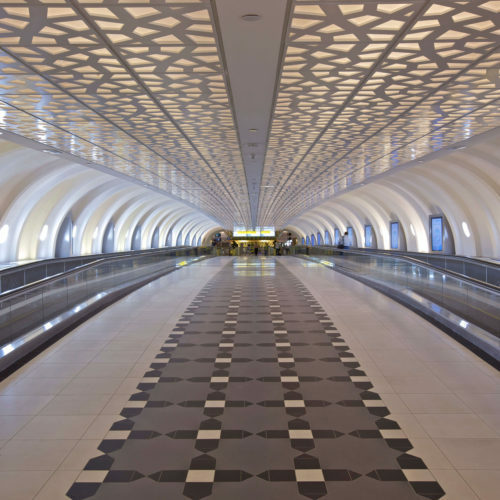 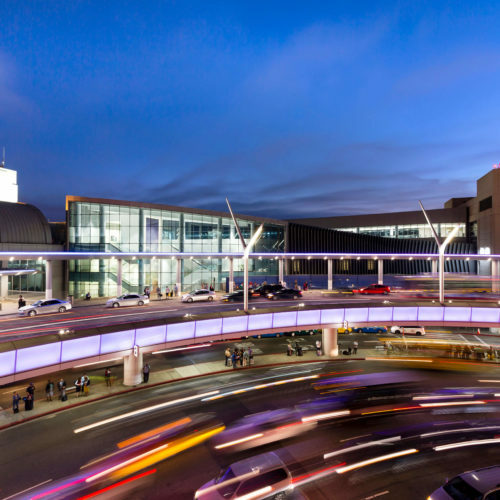 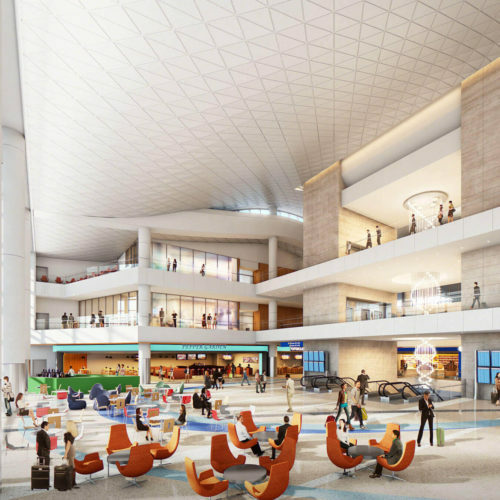 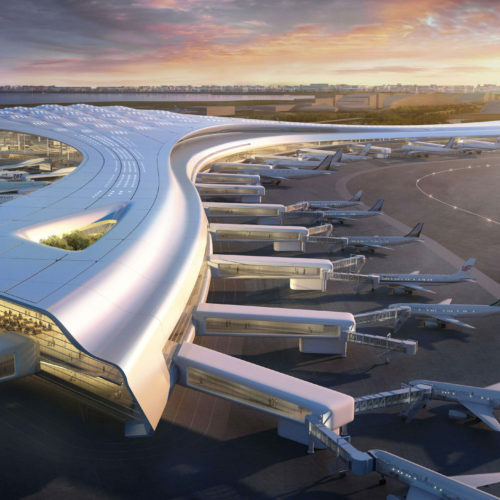 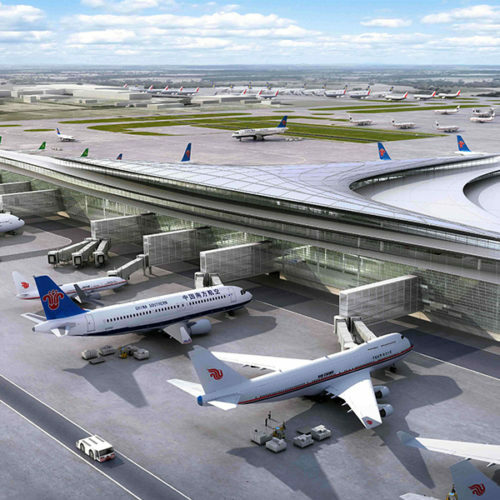 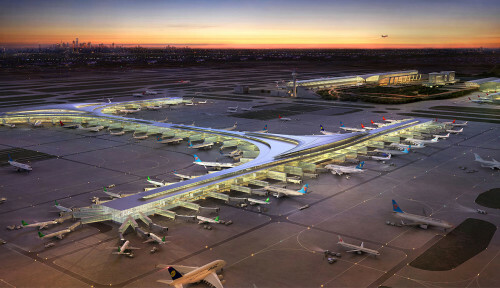 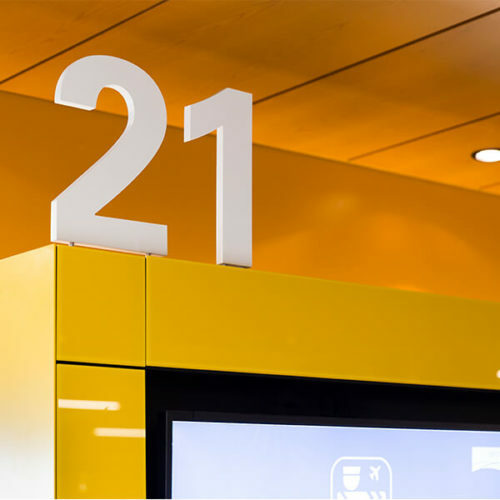 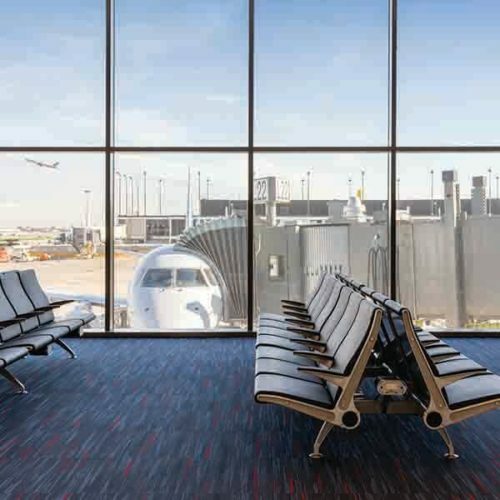 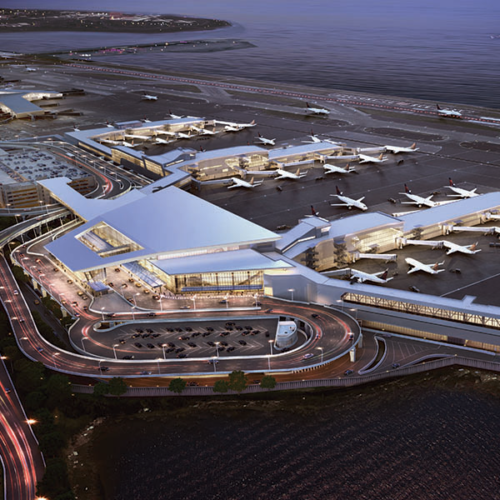 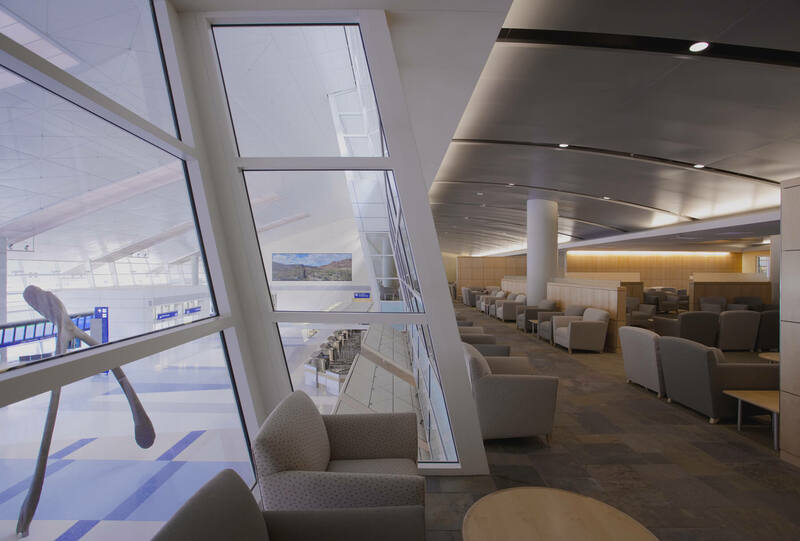 The fixed programmatic requirements for the Terminal included two ticketing halls, concourses, concessions areas, customs hall, bag claim areas, airline clubs, automated people mover stations, and an integrated 300-room hotel. 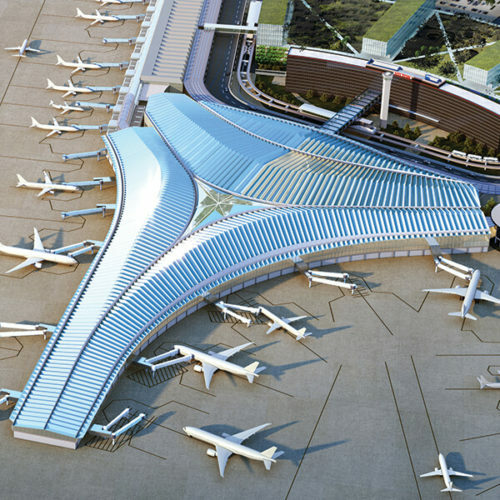 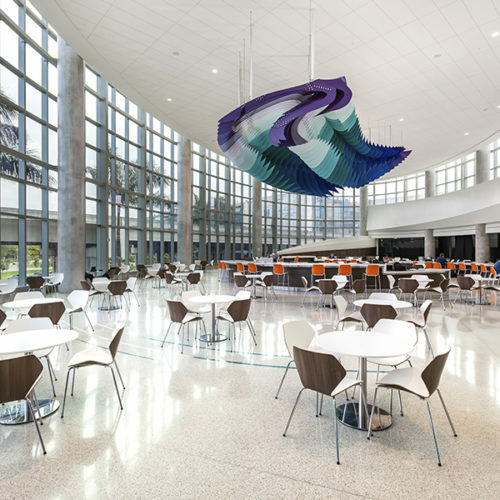 The architects concept unifies all of these important components within one expansive terminal building. 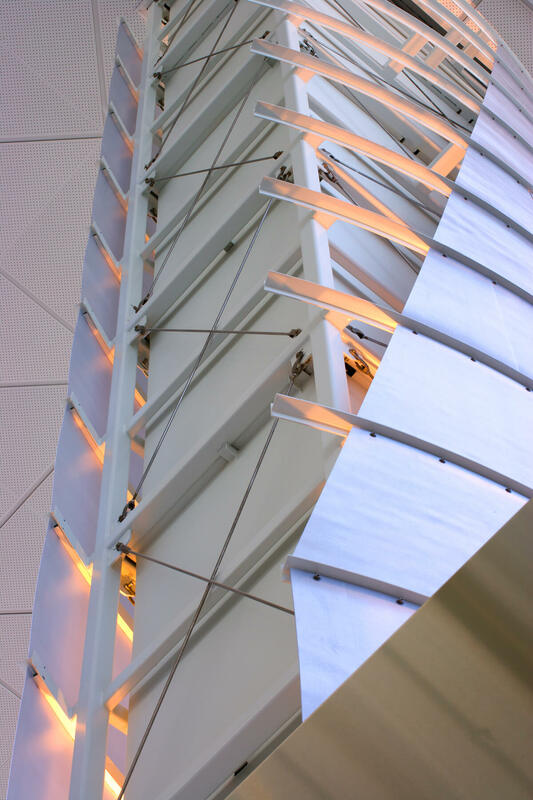 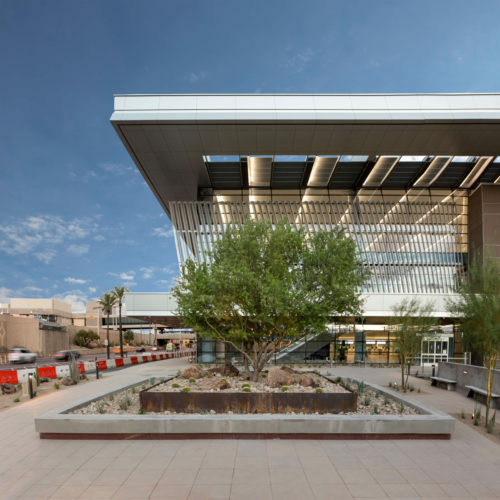 The resulting design features a stainless steel roof that gathers the collection of public spaces under a continuous form.